why does uoft call canvas quercus? good question. aside from being super difficult to pronounce (so far this semester, i’ve heard profs say “quirk-us”, “quick-us”, “queue-kiss”, and MORE! ), the name means seemingly nothing. unlike good ol’ easy to pronounce and meaningful blackboard/ portal (RIP). 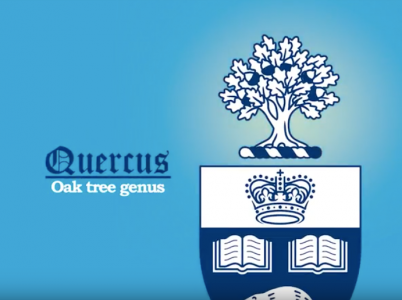 anyways, according to this nifty video from the academic toolbox renewal website, quercus is pronounced “kwhere-kus” and it is the latin word for the oak tree. and as we know, u of t is really into oak tress; it’s on our crest and our student web services is named after a crucial part of the oak tree (ACORN). i guess renaming the academic toolbox something that is oak tree is just the natural progression of the brand? Hello im a first year student and im taking Statistics course but idk if a graphing calculator is necessary (and i dont even have one). Could you please suggest me one? unfortunately for you, i’m REALLY bad at math, super ignorant regarding math and stats, and i don’t even know what a graphing calculator is (and i’m kinda scared to ask). if something like a calculator is required for the course, you should find out when you get the syllabus for the class, just as you would with a textbook or any other class materials. this could be when the prof puts the course up on portal (or like, quercus now? am i spelling that right? qwirkcus? not sure), or during the first week of classes.